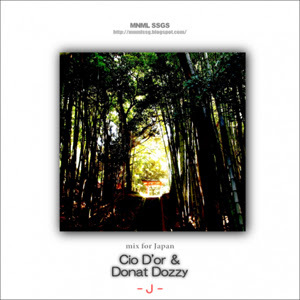 mnml ssgs: Disk Union CDR promo - Cio D'Or and Donato Dozzy present "J"
Love this mix, one of my favorites of this year and would love to have it on cd. But unfortunatly not living in Berlin. selling them online is definitely out of the question, unfortunately. i am sorry for people who are not able to get copies of these, this time copies are being sent to berlin, london and hopefully elsewhere (at my own expense). this will increase circulation, but there is only so much we can do.